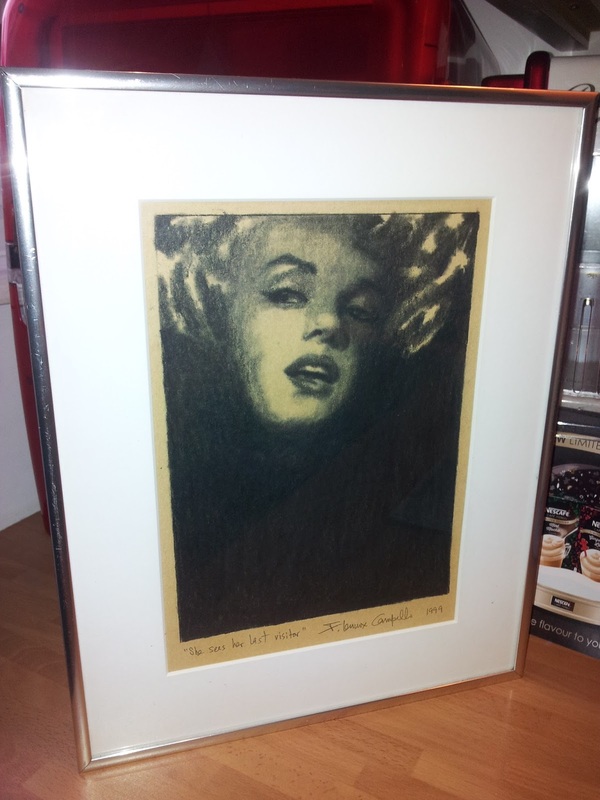 Below is "Marilyn Monroe Sees Her Last Visitor." This original charcoal drawing was done in 1999 and exhibited and sold on opening night at DC's Fraser Gallery during my December 1999 solo show there. It was recently purchased at auction in London and now lives in the UK. "Marylin Monroe Sees Her Last Visitor"